This little gem saved me hour of work. I had almost 5000 wmf files to convert and thanks to its ability to convert all wmf files in a folder in a batch I was able to accomplish my work in a fraction of the time it would have taken. The amazing thing is that even though it is a low-cost app the support I got was amazing. I had a question and had received support beyond expectations within a few hours. Thanks for this program and for continuing development! I have a lot of clip-art is in wmf. Not just that from microsoft, but many 3rd party clip-art comes in wmf. It is critical for me to to convert wmfs to vector-based pdf and eps file. WMF Viewer is great for this, thank you for this product! It works like a charm. The program opens and converts the contents of folders with my wmfs without a hitch. It's very comforting to encounter a business who actually cares about their product reliability and their customer satisfaction. 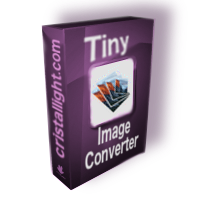 Mac WMF Converter - work with wmf images easily. The program is mac wmf image converter and viewer application. On Windows, many graphics and forms are stored and exchanged as Windows Metafiles (WMF*) and Enhanced Metafiles (EMF*). On Mac, you can not preview wmf files unless you open them in a Microsoft applications such as Word or PowerPoint or use WMF Converter and Viewer application. So, if you wish to use the images stored as WMF files on the Mac - this is the right choice for you. WMF Viewer and converter allows you to open wmf files on the Mac, and convert them to numerous vector and raster image formats including: PDF(vector), EPS(vector), JPG, GIF, TIF, PSD, PICT, PNG, BMP, SGI. To convert a wmf on mac, choose one of the export formats and select Convert option or press button. The export resolution can be changed under mac WMF converter drawer Preferences. You may set also the default destination format, and the default location for the converted files. 1.6 MB of hard disk drive space. If you need the latest version, visit Mac WMF Converter Pro web page.